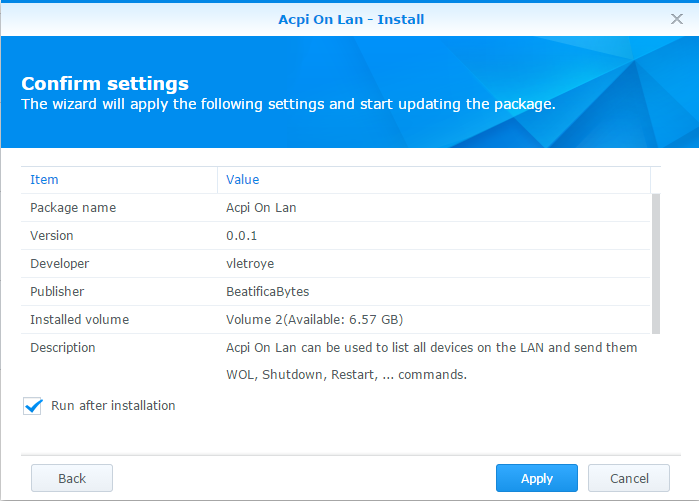 "ACPI-On-Lan" is a package I have created for my Synology DS 713+ (also tested on my DS 3612sx). It installs a website that list all your network devices. Depending on the OS, you can possibly send a sleep, shutdown or hibernate command to the device. 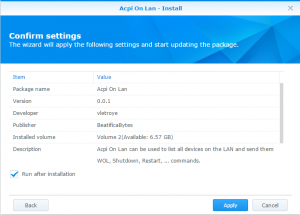 ACPI-On-Lan tries also to reach each device (using a ping) and checks if there is a default web page accessible on the device (Ex. a configuration or administration page). Finally, it can send Wake-On-Lan magic packets to wake-up devices currently switched off. This is not a beta version (even not an alpha), which would be well designed. My prototype is a Quick and Dirty App made of various pieces of code dropped together. It must be complete rewritten properly or at least deeply re-factored. Briefly said, I don't want my name to be associated with this ugly mess (even if most scientists seem to produce such a code :D). 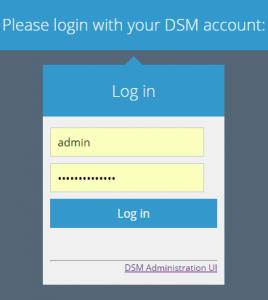 it parses the ARP table of the Synology to find the devices available on the LAN. it stores all the details about the network devices in a file with json format. If you plan to uninstall the package, you must backup those files manually first. for hibernate, sleep, standby, restart Windows PC, it talk to a Windows Service hosting WebAPI services. all commands (ping, WOL, ...) are executed server side (by the NAS). So the Web UI can be used from the WAN without requiring direct access to each devices on the LAN. the web UI doesn't render well on mobiles. Windows mobiles are not yet supported. 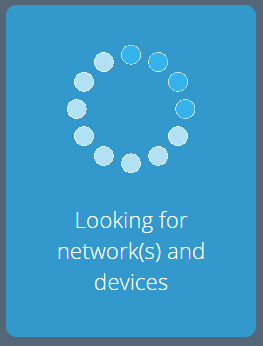 there are still some bugs when refreshing the status of some devices and a wrong state can sometimes be displayed. Also an action to "shutdown" the NAS is displayed although not yet implemented. I have to yet filled the spk's "texts" files to translate the package. 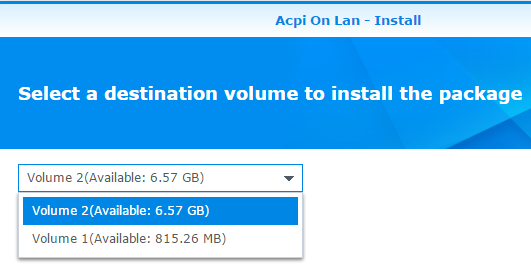 You will have to install the package 'inetutil' on your NAS. This is required to be able to ping the devices while not running as super user (i.e. : 'root'). If you want to be able to send Sleep/Restart/Hibernate/shutdown command to Windows PC, you will need the Microsoft .Net Framework 4.5. 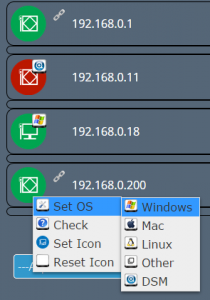 This service is not required if you only want to send WOL commands to Windows machines. 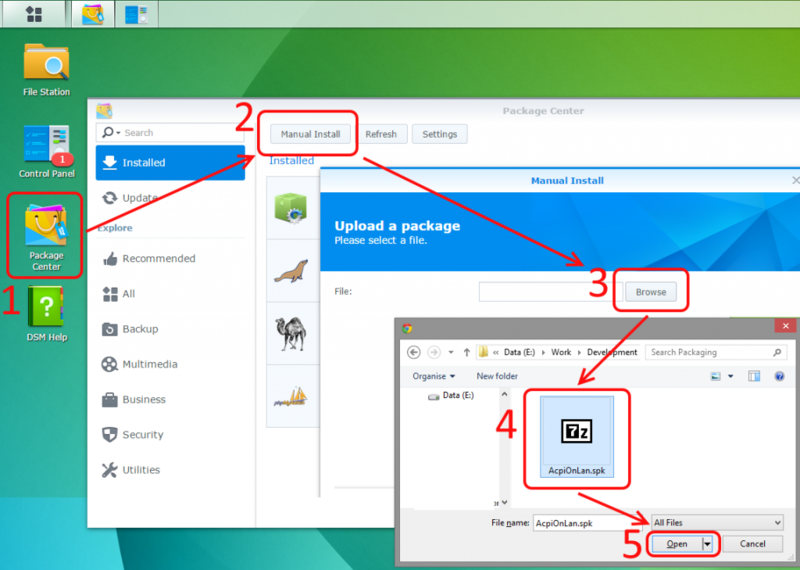 1) Download the package attached at the bottom of this page and install it manually via the "Package Manager" of Synology. 5 clicks and ~that's it~. 2) It can theoretically be installed on any volume (if you have several). 3) And you can "run it after installation"
force open_basedir = null for the new web site "AcpiOnLan"
4) Once ACPI-On-Lan opened in a browser, you will have access to a menu "install srvc". Click on it to download the MSI which installs the Windows Service (Do this on Windows only!). 7) You will have to approve the installation by clicking on "More Info" here above and then "Run Anyway"
Et voilà, the Windows Service should now be running. IMPORTANT NOTICE 1: as the Windows Service was designed to be deployed via Click-Once, it was not assumed to be launched "As Administrator" directly (An exe "run" via Click-Once can by the way not require elevated rights). 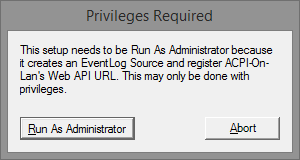 So, if run without such rights, the exe of the Windows Service will stop itself automatically and restarts "As Administrator" (You could be prompted to provide adhoc credentials). IMPORTANT NOTICE 2: when the Windows Service is installed via the msi, NEVER run the exe yourself from a command prompt of from the Windows Explorer. Again because the service has not been designed to be installed via a msi (with 'installutil' tool or with an installer class) a "self-installation/uninstallation" process has been foreseen if and only if the exe is run "interactively". So, if you run the exe after the installation of the msi, it will do a self-uninstallation of the service.You have to run it once more to reinstall it. IMPORTANT NOTICE 3: The worst wase occurs if you run the exe once ad then uninstall the msi via the Control Panel > Add & Remove Programs. Indeed the msi will simply run the exe which will actually do a self-reinstallation of the service. So you will still have the service defined in the "Local Services" but neither the exe nor the entry in "Add & Remove Programs" anymore. To fix this, Quickly reinstall the msi, which will do a self-uninstallation of the service. Than run the exe interactively (from Windows Explorer) to redo a self-installation of the service. And you will end with the service defined in the "Local Services", the exe available and the entry in "Add & Remove Programs" (which can now be used to safely uninstall the service). Sorry for that. I will improve the process to prevent the msi to put such a mess asap. 4) Finally, it will display a list of network devices found. For each device, you will have to "Set the OS" and "Set an Icon" (Except if you are happy with the default icons). 5) If there is an hyperlink symbol next to a device, it means that there is a we page available. You can click on it. Also to refresh the status of a device, you can use the menu "Check". if the device if on, you will have actions to Hibernate, Sleep, Standby, Shutdown or Restart the device. Once you have clicked on an action, an Abort action is made available for a few second. If the device is off, you will only have a Wol action. The recycle bin can be used to hide a device and you can edit the name of the device. 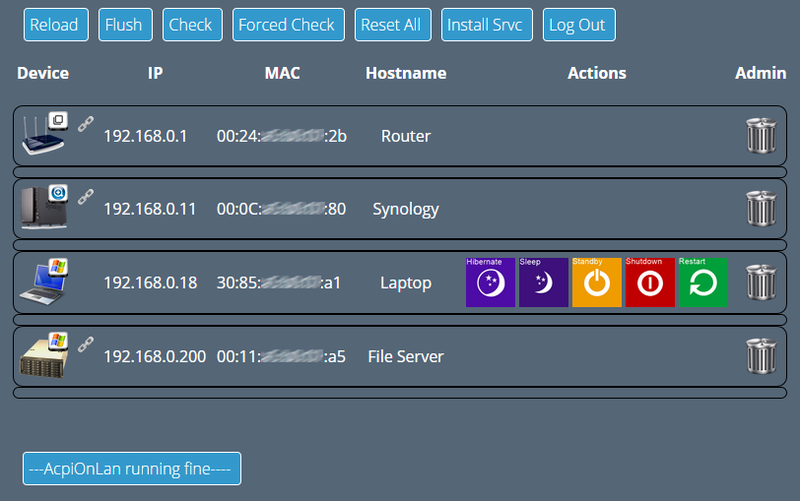 Forced Check: check the status of all the devices displayed in the list even if checked within the latest 5 minutes. Reset All: delete all the devices from the list (including your customization like icons/OS/hostnames). 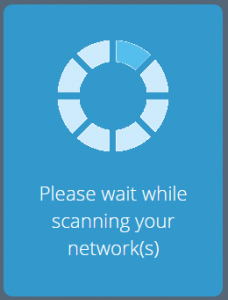 The network will net be rescanned. Notice that your previous data will actually be backuped in a subfolder "backups" and named Computers.x.json. You can manually restore them. Show All: will show all devices previously hidden by clicking on its recycle bin. Clicking again on its recycle bin will un-hide the device.